Sunderland are now the only side in the Premier League’s bottom six not to have changed their manager this season. That is a remarkable statistic for a club who have not had a boss complete a full campaign since Steve Bruce in 2011. With little appetite for change in the club hierarchy, David Moyes is set to break that spell, regardless of where the Black Cats head in the next few weeks. Middlesbrough will now be hoping that the change in manager can have the same affect that a switch has had for the other sides near the bottom. Marco Silva, Craig Shakespeare, Paul Clement and Sam Allardyce have all improved their respective sides, and Boro will be hoping that former Sunderland midfielder Steve Agnew, put in interim charge, can do the same. So ahead of tomorrow’s crucial home game against Burnley, is this the final nail in the coffin for Sunderland? What effect will it have on Boro? In the short term, Agnew’s side, on Sunday, face a Manchester United outfit likely to be leggy from last night’s Europa League tie against Rostov. Aitor Karanka has been heavily criticised for putting defence first this season, but, with such little preparation time and any positive result a bonus, the Teessiders will likely sit deep and look to frustrate. But what then? Just how likely are Middlesbrough to replicate the surges elsewhere? A short-term bounce is far from guaranteed. Silva had it at Hull, Clement had it at Swansea and Shakespeare certainly had it with Leicester, but Crystal Palace took six games to win a league game under Allardyce. If that happens at Middlesbrough then they will be as good as relegated. A crucial problem Agnew has, of course, is that, unlike most of the aforementioned managers, he will not have the chance to shape his squad in the transfer market. Many thought selling Robert Snodgrass was the death knell of Hull’s season in January, but, in Kamil Grosicki, Oumar Niasse and Lazar Markovic, Silva has been able to completely reshape his side into a counter-attacking unit, that injection of pace making them a resilient outfit at home. Luka Milivojevic has toughened up Crystal Palace and Patrick van Aanholt already has a crucial goal from left-back. Agnew has to go with what he has and may face the same struggles as Karanka in finding more firepower in attack. Of course, Shakespeare has not been able to intervene in the market, but quite clearly Leicester’s revival is an exceptional case. He has returned to a successful formula that the players understood and bought into, and recent results and performances have reverted to where they were last season. On Teesside, Karanka has a squad and a side built unmistakably in his own image, and that mould will be significantly harder to break. The one concern for the Black Cats is if Agnew can bring players isolated under Karanka back into the fold, such as Stewart Downing, that might spark a big boost in morale. It is a major task, however, and there are no guarantees that Karanka’s departure will spark an upturn. Worth remembering, too, that Boro have a brutal run-in, facing four of the top six in their last six league games. So what next for Sunderland? Boro have a three-point cushion on the Black Cats and if they do replicate Leicester’s surge, it will be as good as over for Sunderland. 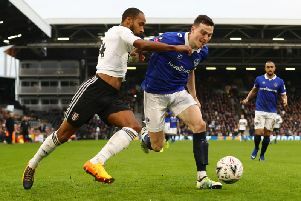 It is tough to see them catching up and overtaking two of Hull, Palace, Leicester and Swansea as it is, without throwing another side into the mix. One of the big question marks is whether Agnew stays until the end of the season or whether Boro opt for a manager like Nigel Pearson. If that happens, it may well initiate a spark that Sunderland themselves have seen so often in recent seasons. Either way, tomorrow’s visit of Burnley is one of the biggest games of Sunderland’s season so far. For all the new manager bounces elsewhere, Sunderland still have four of the bottom six to play and showed, at Selhurst Park, that they can handle those high-pressure games at the end of the season, new manager or not.